When Pelikan registered the patent for its new differential piston mechanism in 1929, no one imagined that the same system would be used for decades! To this day, only a few minor changes have been made to perfect the mechanism. Now you can see the patented ink reservoir and piston-filling system in action with the Special Edition Souverän 805 Demonstrator. 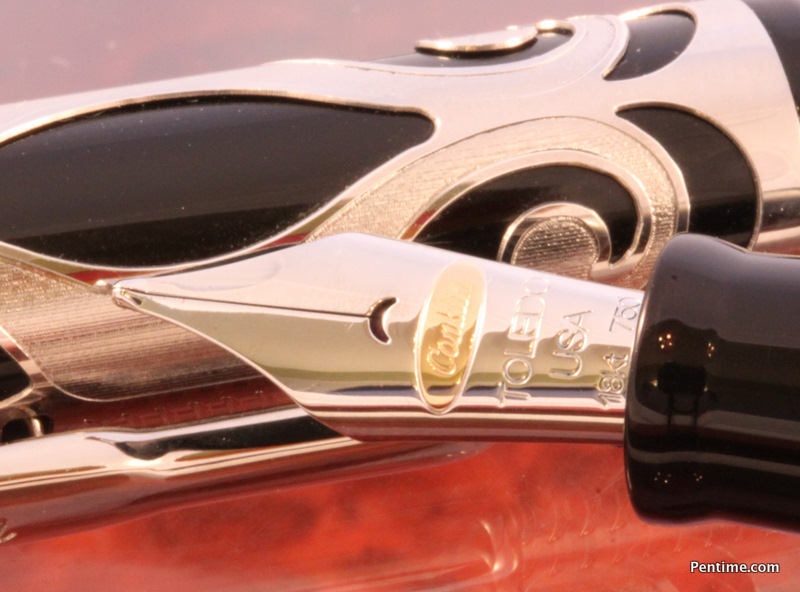 The superb 18K gold nib has a rhodium mask; the clip and rings are plated in palladium. A time-consuming production process guarantees that the transparent resin barrel and cap are perfectly clear, with no trace of color. The unique and fascinating fountain pen will give you years of smooth, dependable and expressive writing. 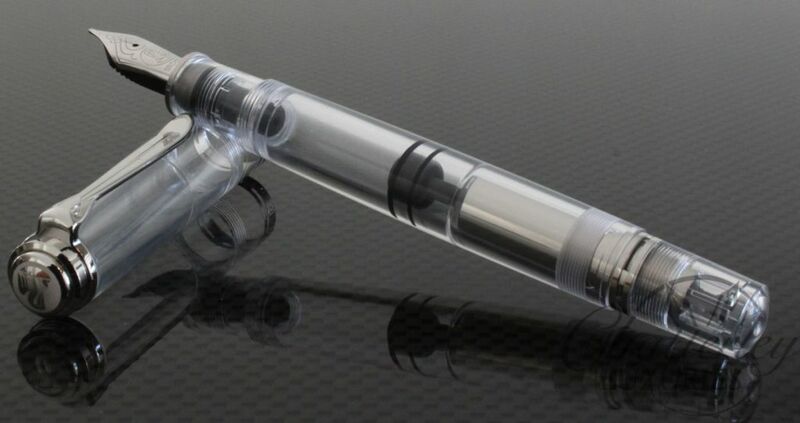 The extra-large 805 Demonstrators are being produced one time only and supplies will be very limited. 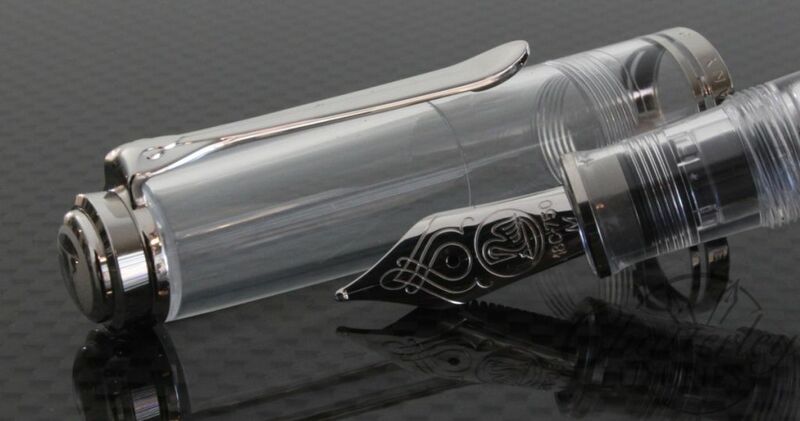 In addition to the plain Demonstrator, Pelikan also offers an engraved model with technical parts described in English That will be out very soon. This pen is available in Extra Fine, Fine, Medium and Broad nibs.